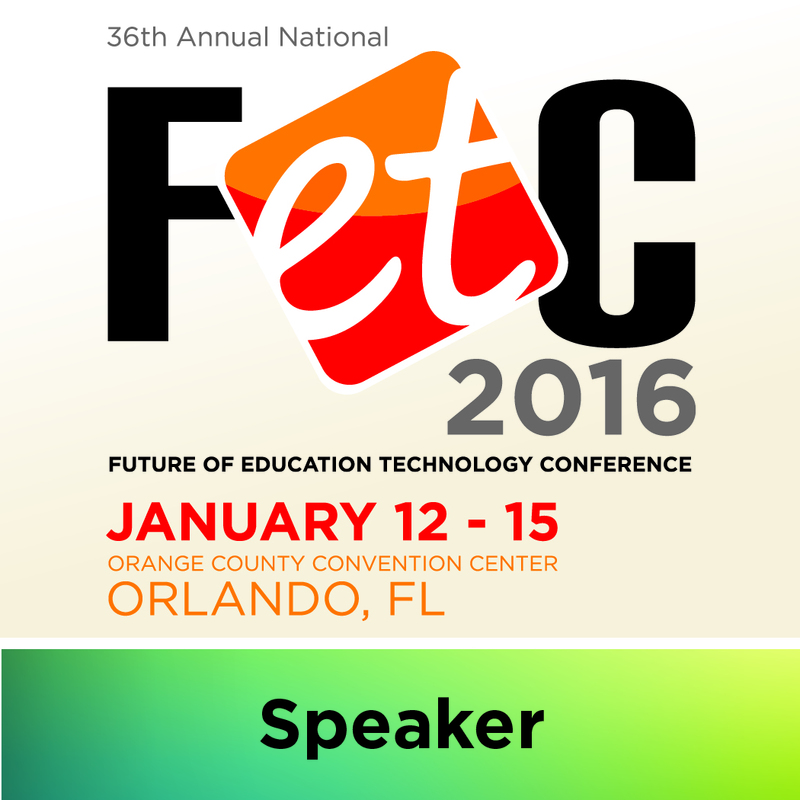 During the last week in January, I had the great fourtune of attending and presenting at the FETC conference in Orlando, Florida. I was able to hear many great speakers share their thoughts on education and technology. I attended several keynote sessions and gained insight from each one. My favorite keynote of the conference was Rushton Hurley. I have heard him speak before and am always inspired and educated by him. It was wonderful to also give back and present two sessions at the conference. My co-presenter (Hi Jason) and I were thrilled to have packed rooms for each session. People were even lined up to get in our rooms...I never would've guessed!!! Presenting in Florida is definitely a memory I won't soon forget. I want to thank FETC for having us present and offering so many wonderful learning opportunities! I also want to thank my school and district for supporting me in this venture!